I have finally had time to sit down and write this blog! 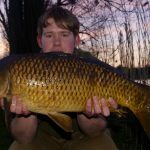 I have had a really good winter fishing a local park lake. As I have said in the past, winter fishing for me isn’t all about catching a chunk. I have managed two twenties and whole host of other fish. I have been fishing Thursday nights religiously for the last couple of weeks, well since December! I have never been an advocate of fishing during the winter but with a little bit of help from a new bedchair, I was happy to fish in weather down to sub zero temperatures, -6 to be exact! Anyway, the last two sessions has seen me landing eight fish to about 17lb+. Again, not massive I know but I am just having some fun, testing baiting situations, rigs and getting the rods on the spot after slipping one in the net as this will help to really capitalise on a feeding spell. I have been fishing a particular swim which a few people have questioned and also said “The other end has been fishing better mate, you don’t stand much chance of catching here!” I thought what utter crap! This particular lake holds a planted cage full of reeds and rushes etc. I have been fishing about 12-16ft off these cages as I don’t want to risk being towed under it, reason being is I don’t know what sort of rope or chains are keeping the cage pinned in place. I have then been spreading about 15 spombs of key boilies on the spot I am fishing and placing to rods over the top. 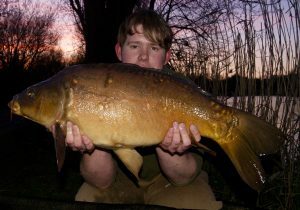 The hookbaits have been consisting of pink popups on a neat rig which harbours plenty of movement but when it grabs hold, there is no getting away from it at all! I managed three fish on my first session in an hour and a half feeding spell. I packed up in the end as I was over the moon with managing that many quick bites all in on go. I always top up after every fish to make sure they haven’t greedily scoffed all the bait that is on the spot. 15 mini spombs equate to about 1.5kg of boilies which you’ll probably think “ah that’s nothing!”. I have been using a NV rich bait being The Key. I feel if you introduce too much of the key, I.e 3-5kg all at once, it is like trying to eat a whole pot of rich chocolate ice cream? But that’s just me. 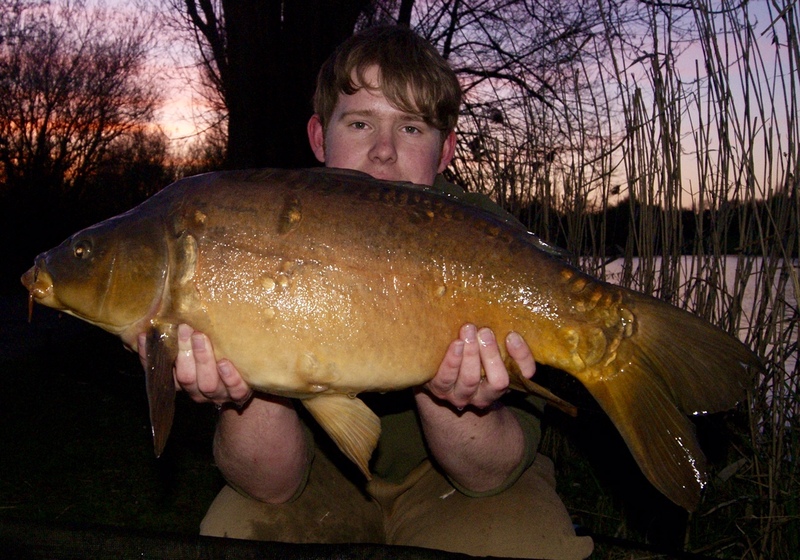 On my recent session I managed to have five fish before midnight. The first one came at around 7 o’clock. 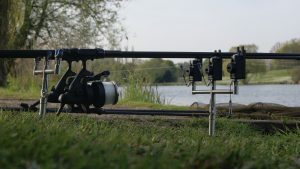 I had just got that fish in the net by which point I was unclipping the rig, wrapping 25 x 10ft wraps round the sticks which equates to 85 yards, the rod was soon back on the spot. I have been using single hookbaits just to get through a strong wind which has arrived on both sessions. I managed to sort that first fish out and slip it back, it turned out to be one of the best looking commons I have had from this lake! I got that fish out and got the rod back out. The next rod was away and I had a spritely little mirror in the net within a few minutes. I did exactly the same and the rod was out and ready. Just as I went to get the little mirror on the mat, the other rod ripped off. I was stood on a folded up landing net trying not to wonder too far! 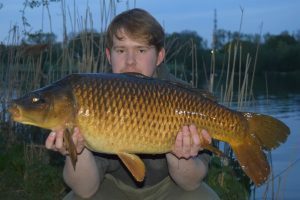 I then managed to slip another mid double common in the net! After this spell of action, still stood on the landing net I looked up and said to myself “what is going on?!”. 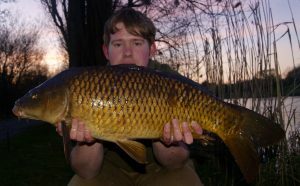 Finally I managed to get the fish sorted and some more bait out and get the rods sorted for the night, the action soon carried on. I went on to land a further 2 fish before midnight. I took the decision to go down to one rod and try and get some kip. 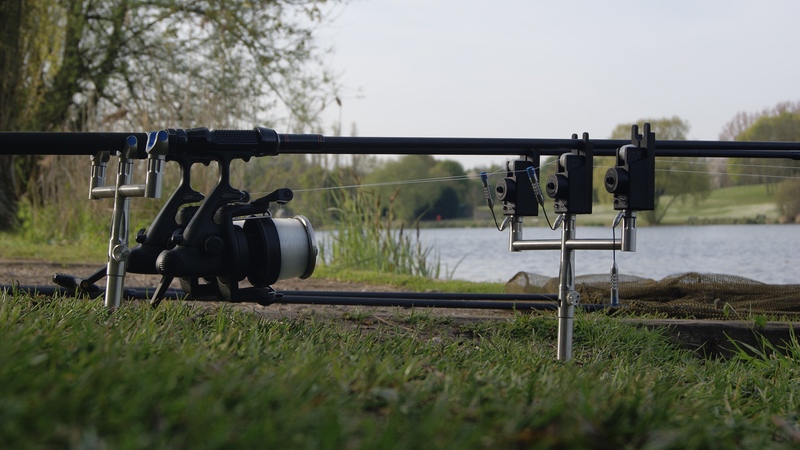 On top of all of this I ran out of bait which seemed to have worked instantly on my first session of using it! I have lost track of what sizes the fish were but all I care is that it was really good fun and I shall be back next week all being well! If not I shall be out for some floater fishing now that the weather has improved!